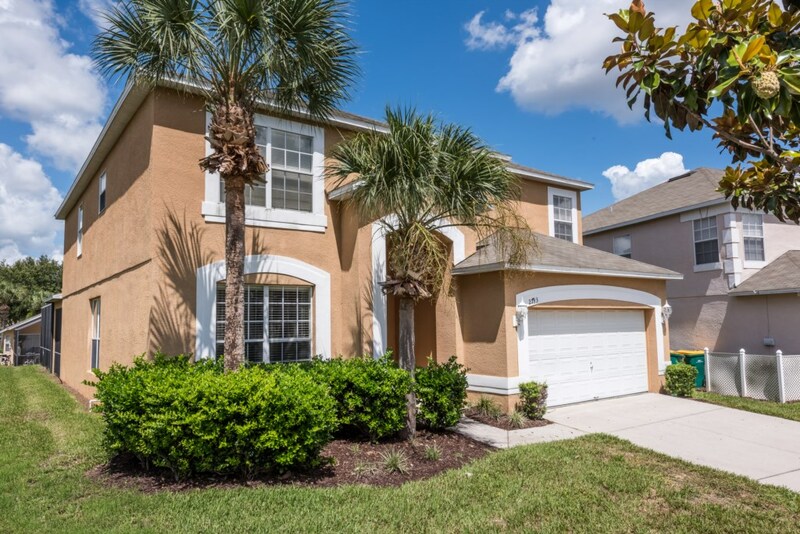 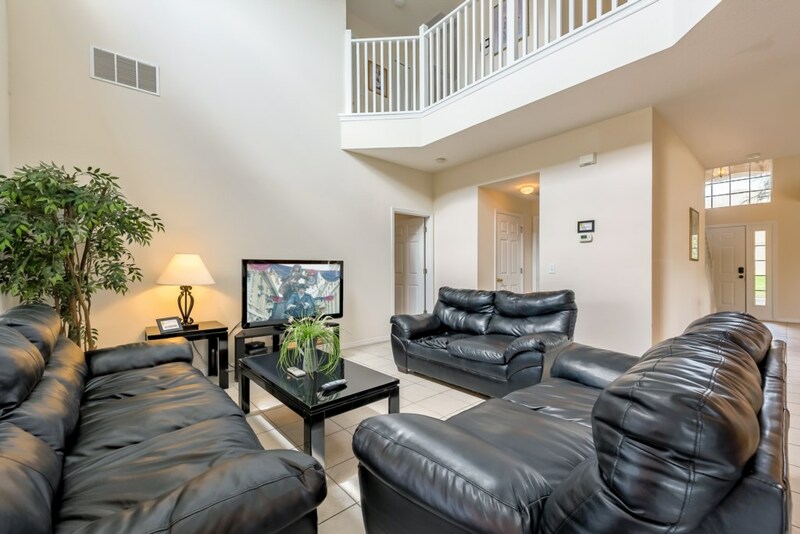 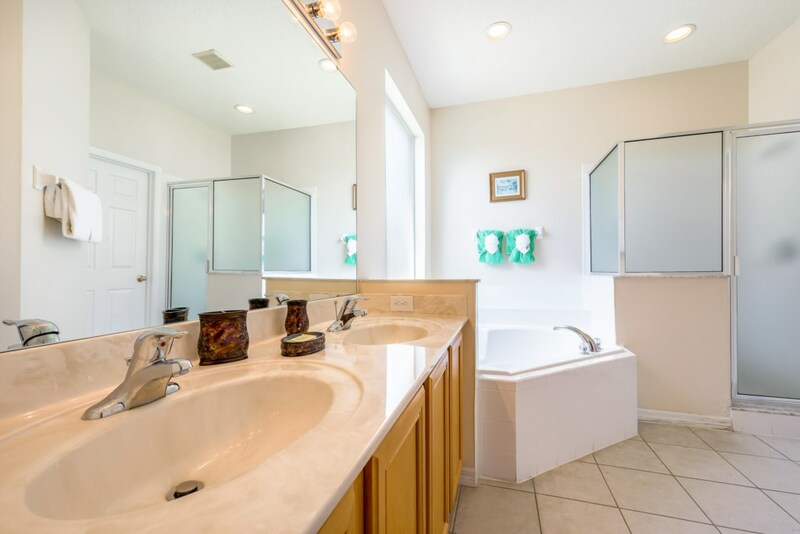 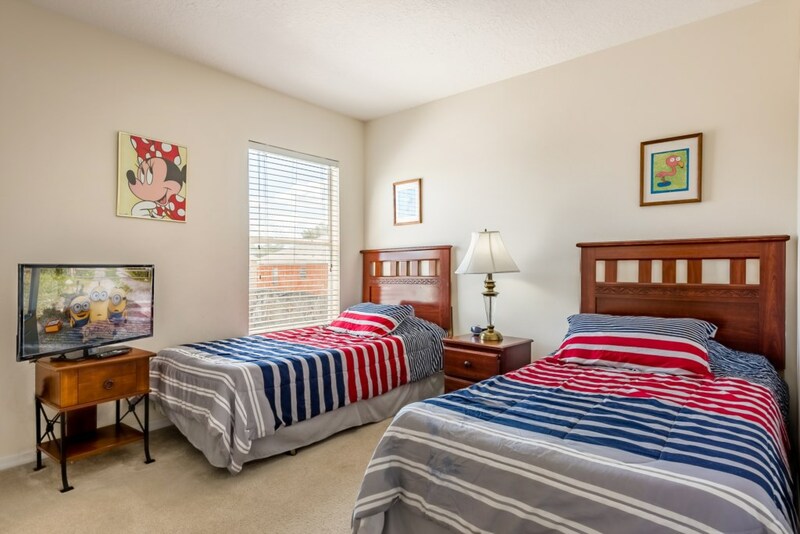 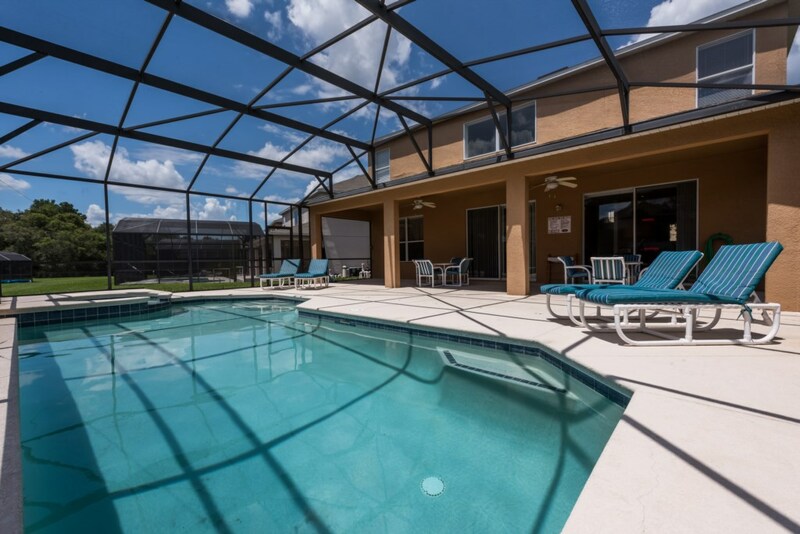 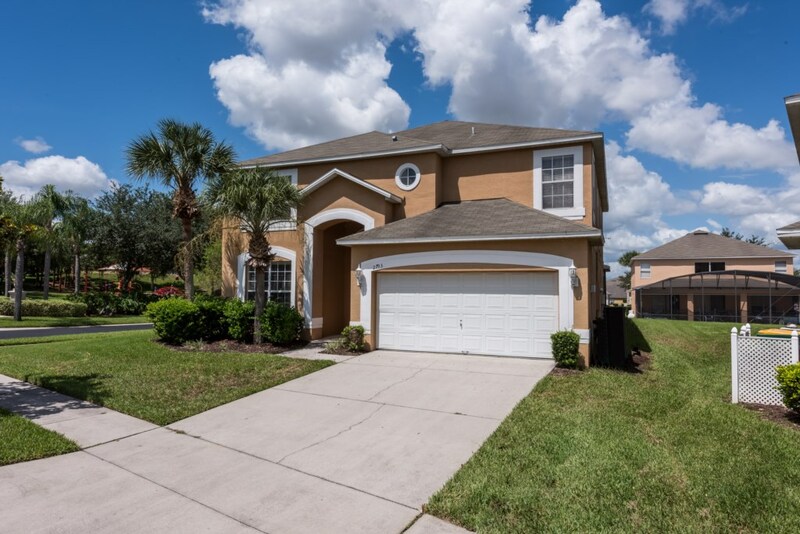 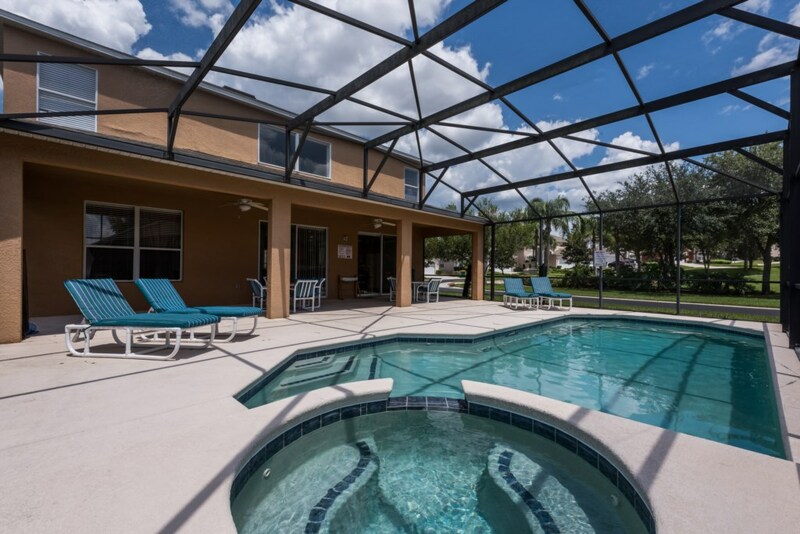 Superb seven bedroom vacation home is only 2 miles away from Disney World theme parks and other attractions. 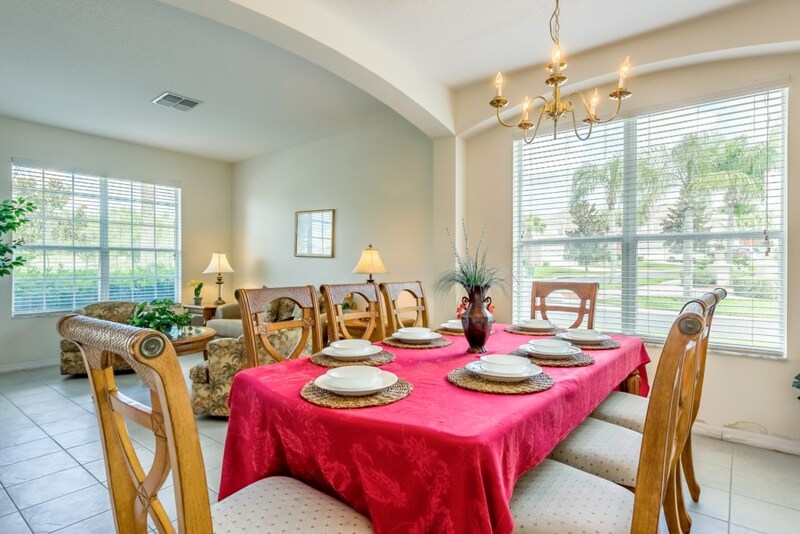 The villa offers luxury accommodations catering for all ages. 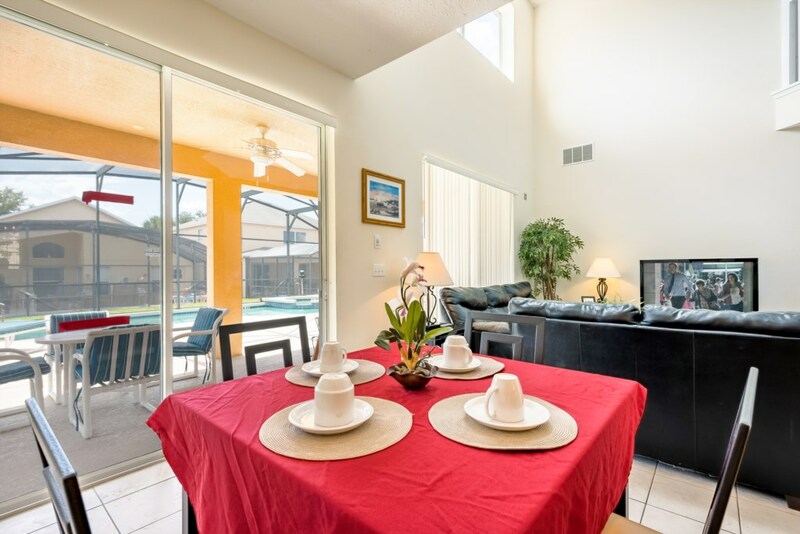 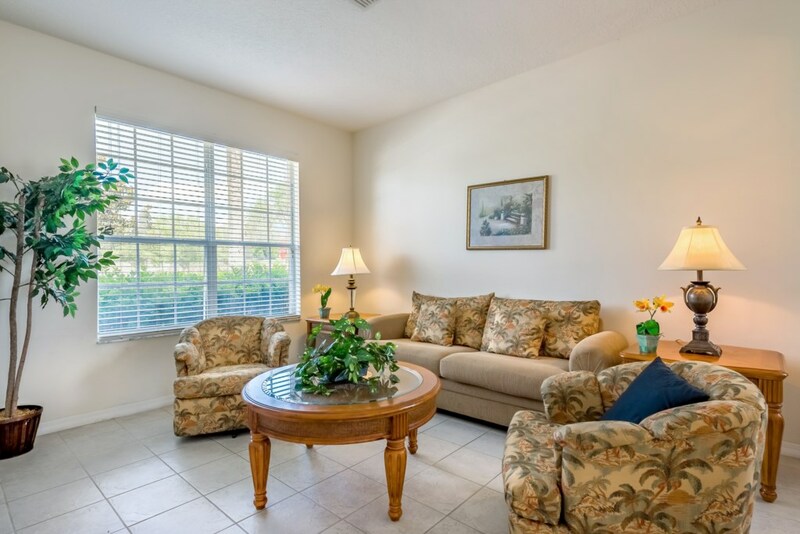 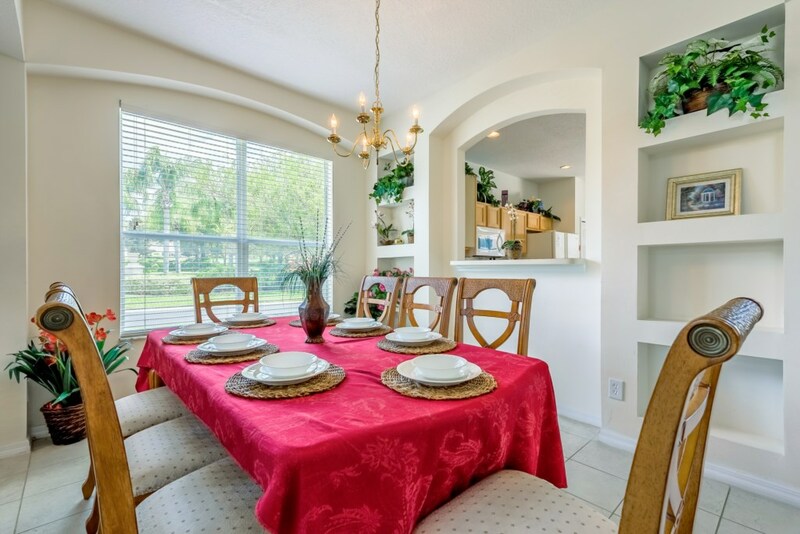 The spacious and beautifully decorated living/dining room has classic upscale furnishings with a large sofa overlooking the pool and deck area. 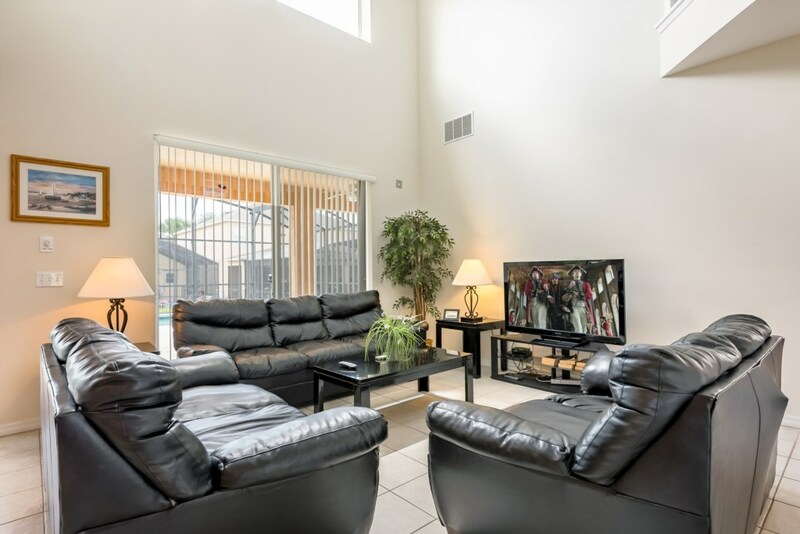 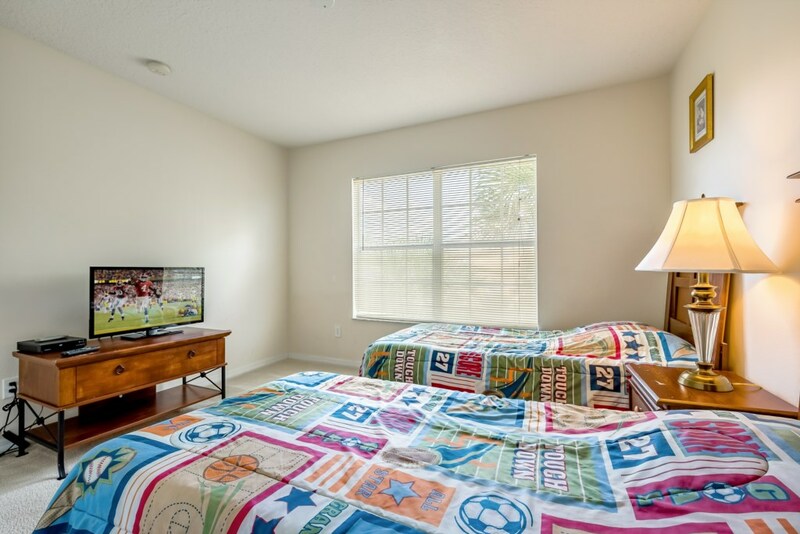 This property comes fully equipped with an entertainment system with large screen TV, DVD, VCR and Stereo system. 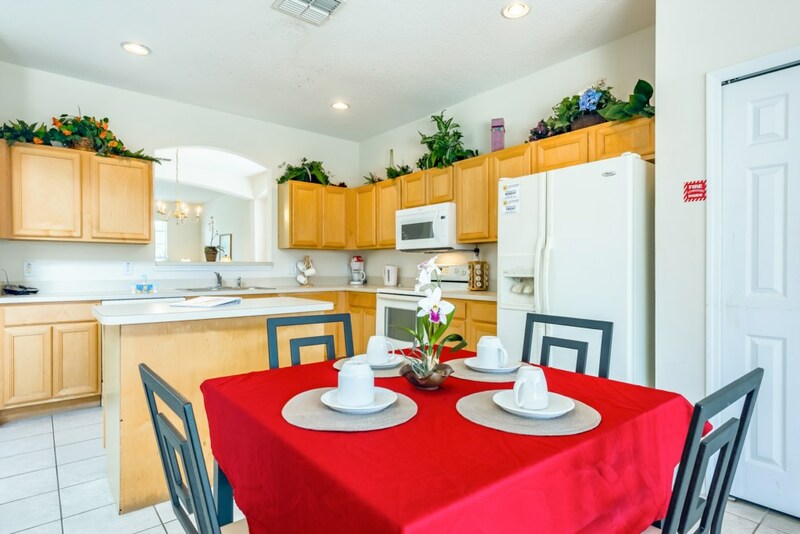 Leading from the living/dining room is the upgraded and fully-equipped kitchen. 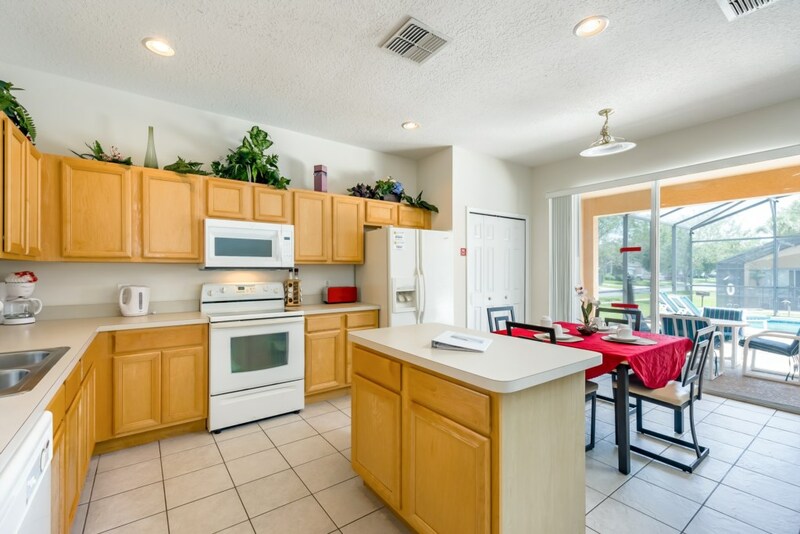 The kitchen includes a ceramic range top, side by side refrigerator/freezer, dishwasher, garbage disposal, and microwave. 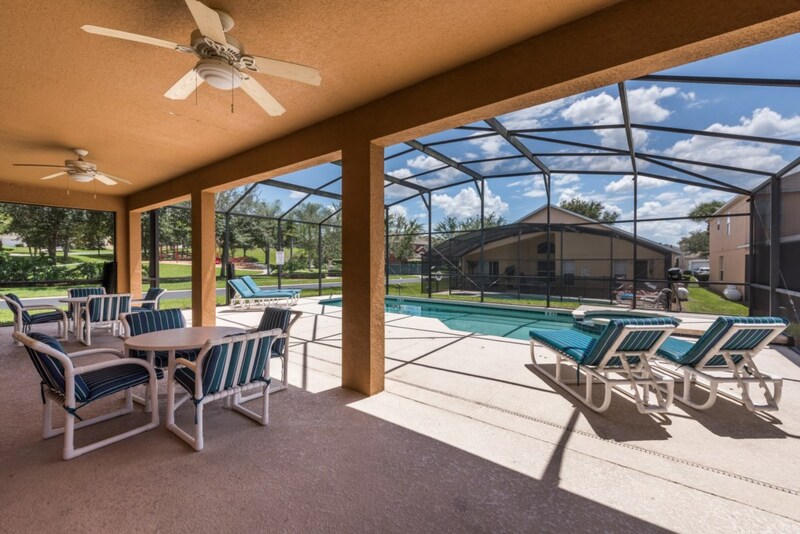 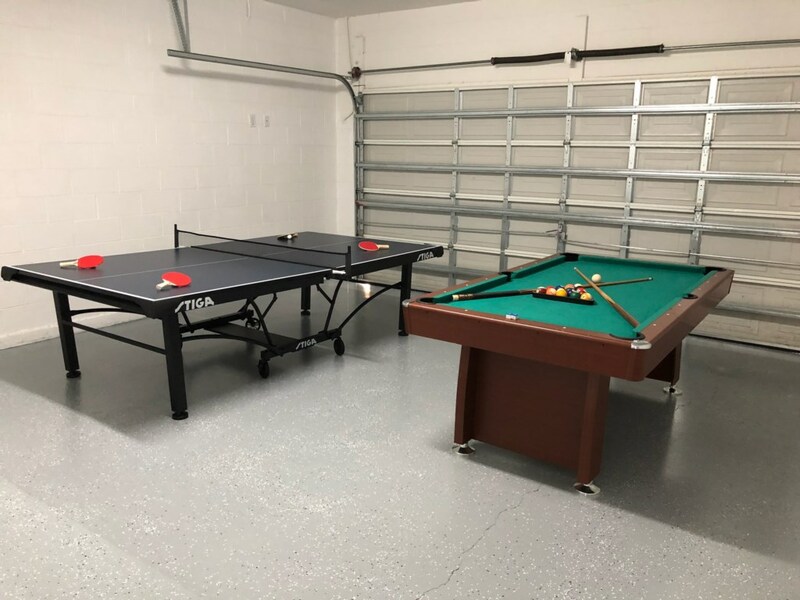 The home also features a convenient breakfast bar with stools and separate breakfast nook for informal dining - all with a view of the pool. 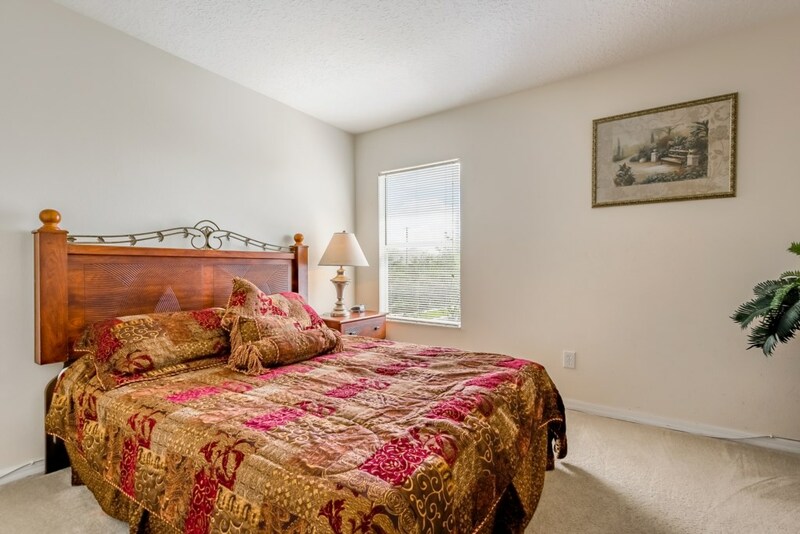 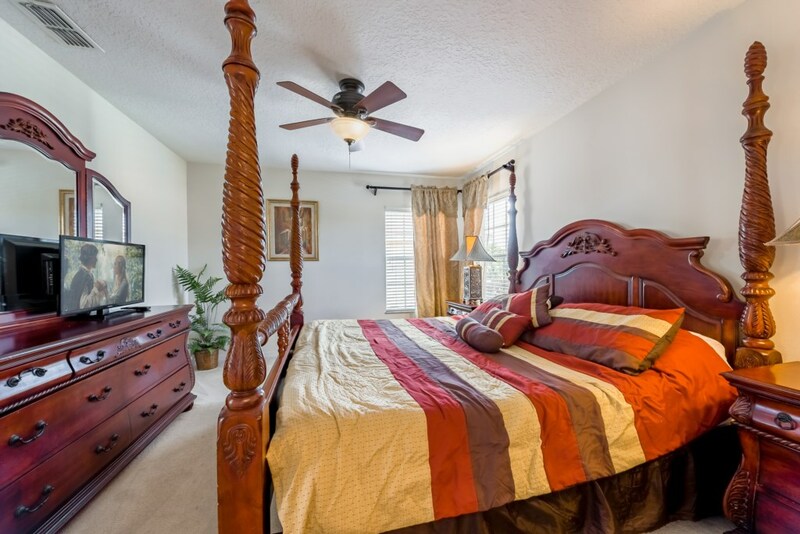 This property's master bedroom features a spacious king bed and tasteful decor. 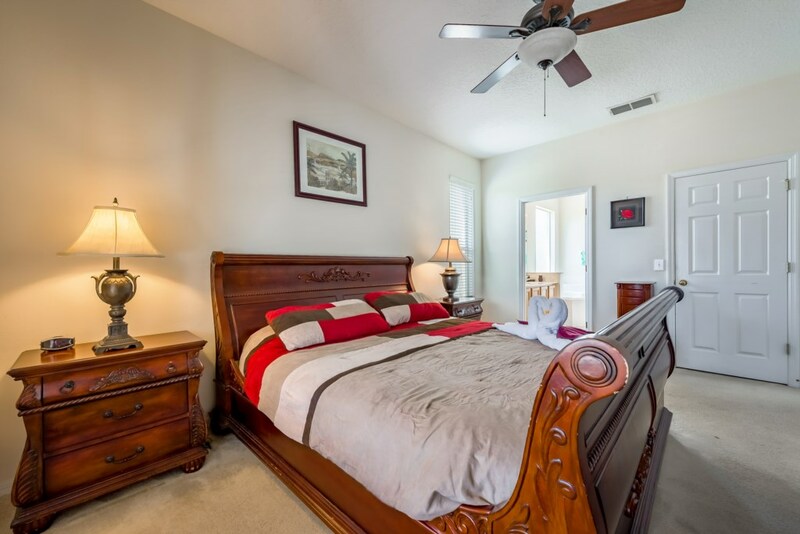 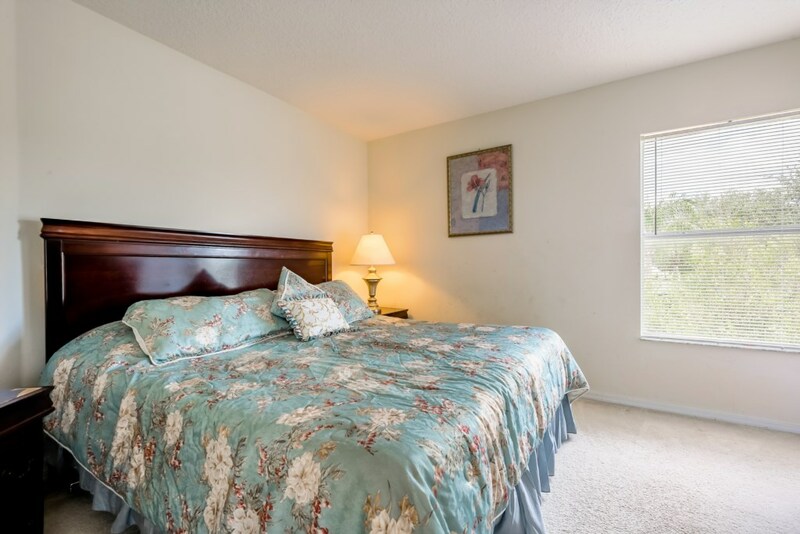 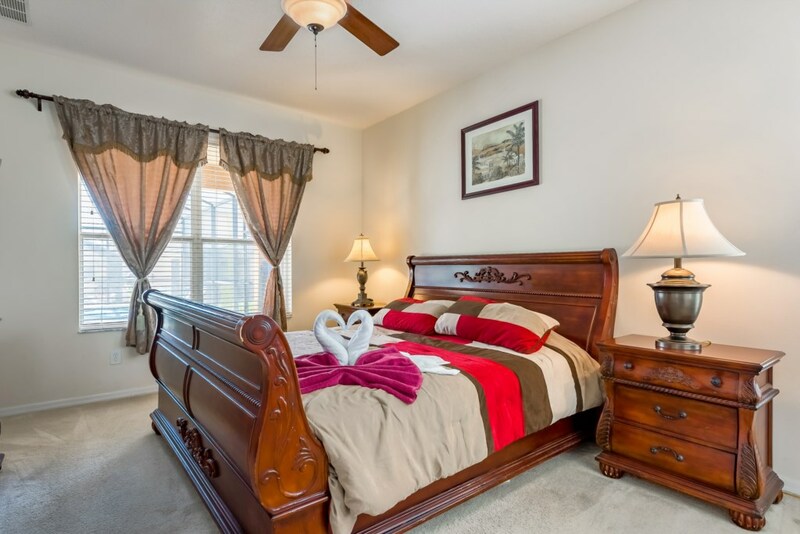 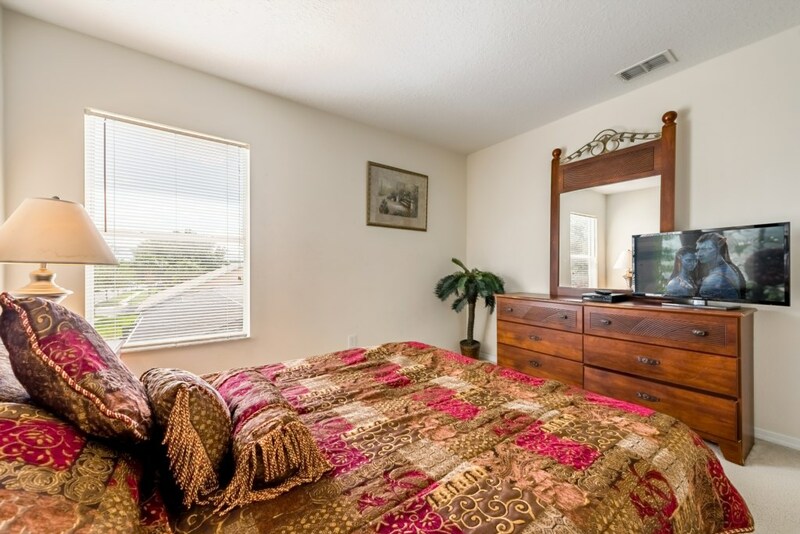 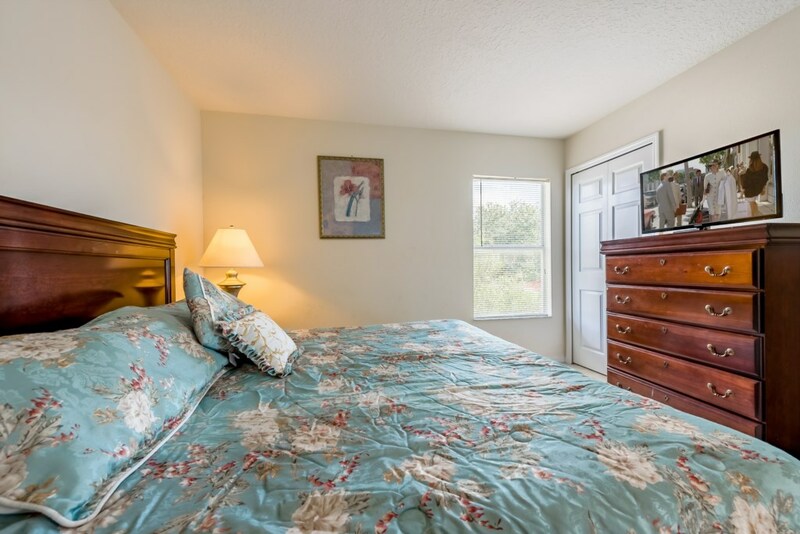 The second master bedroom features another king bed with ample closet space and modern furnishings. 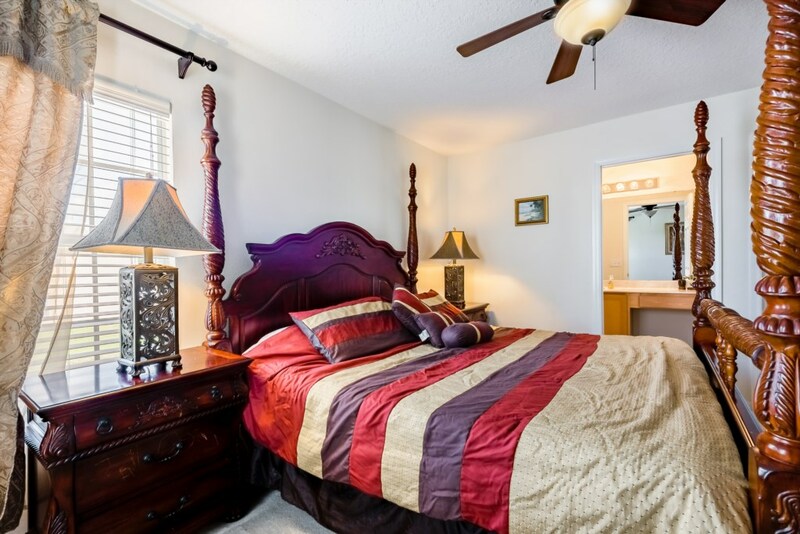 Both of these bedrooms have an en-suite bathroom with overhead shower and luxury fittings and vanities. 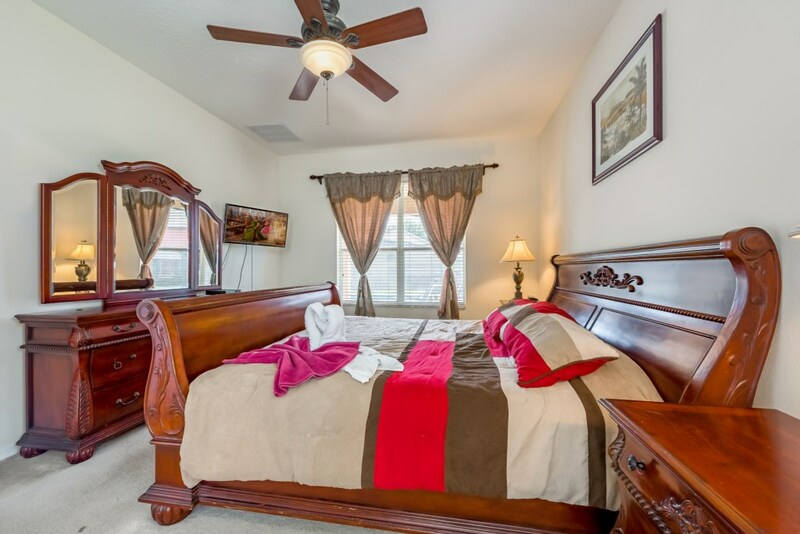 This property includes two additional five bedrooms with one king, one queen and three sets of twin beds. 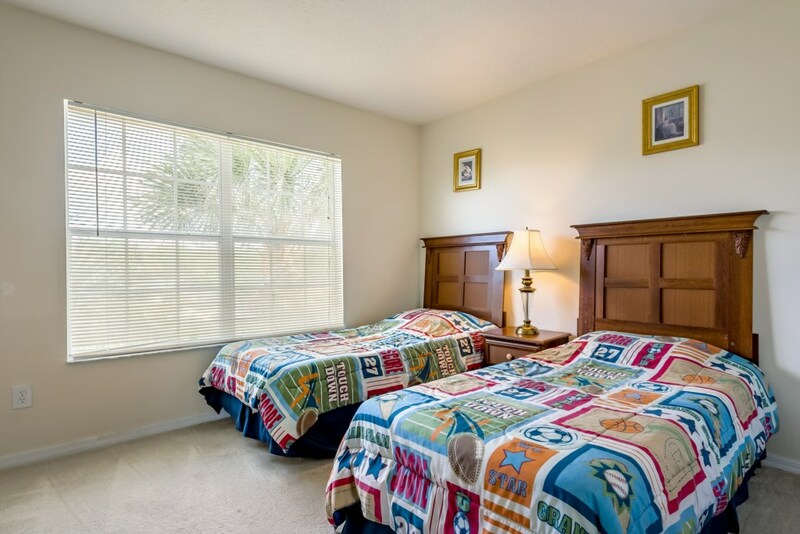 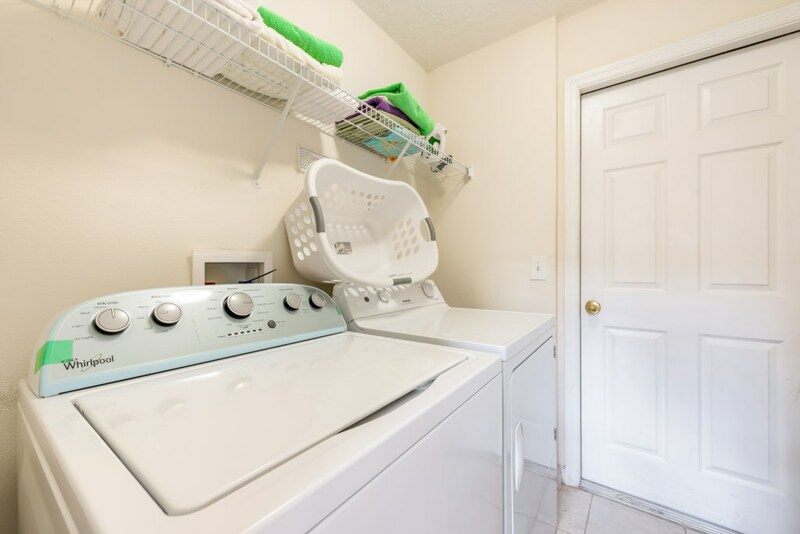 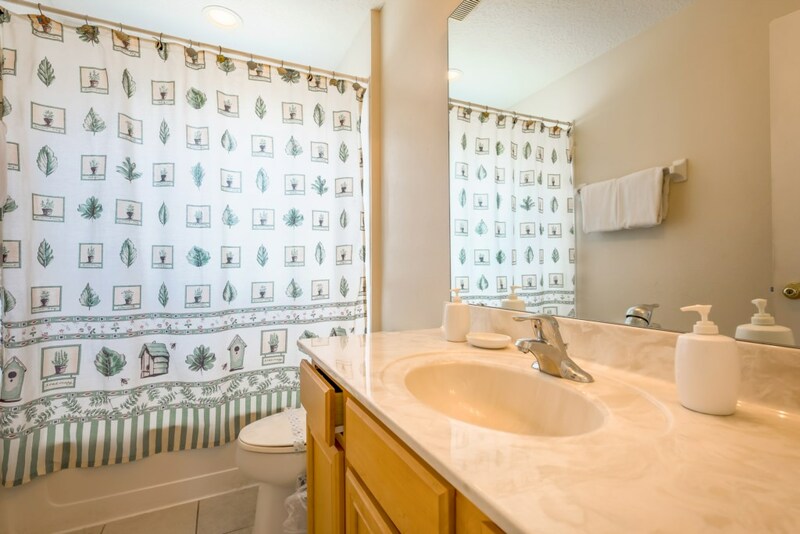 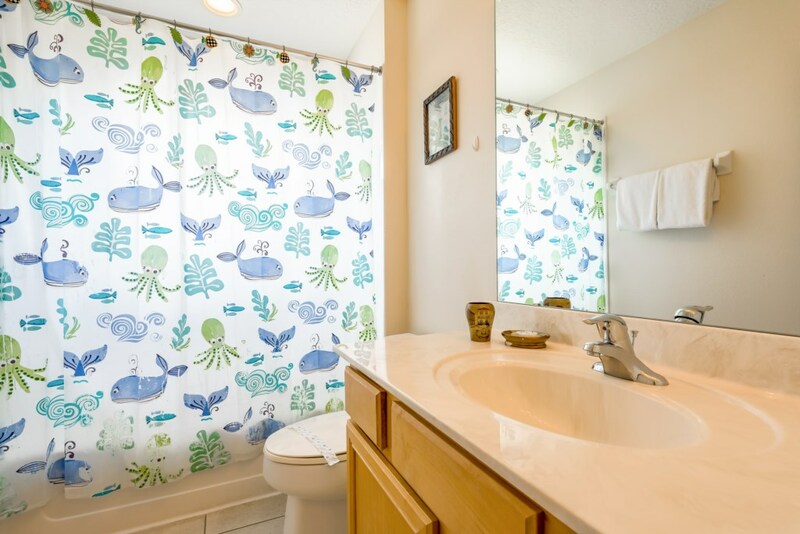 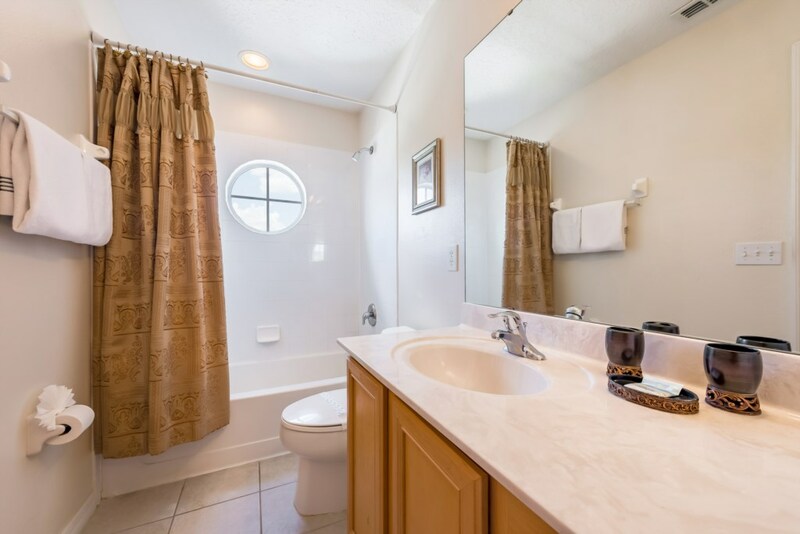 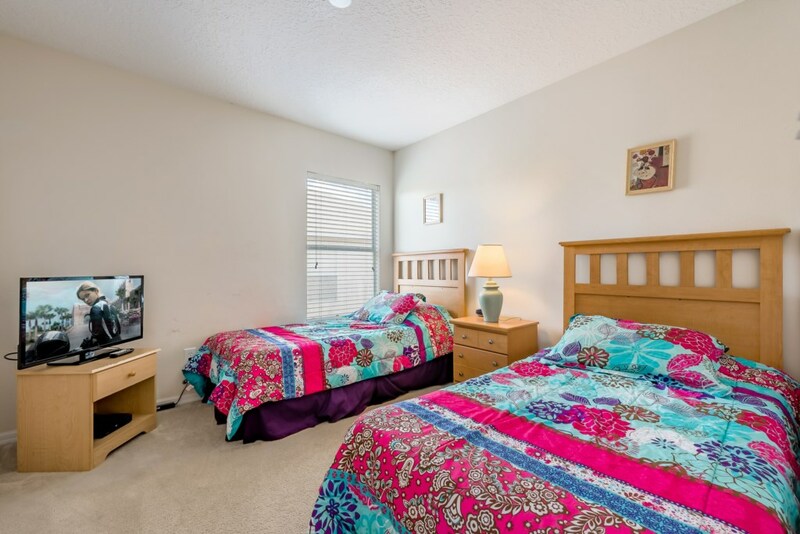 This property comes with high quality towels and linens to provide extra comfort for your stay. 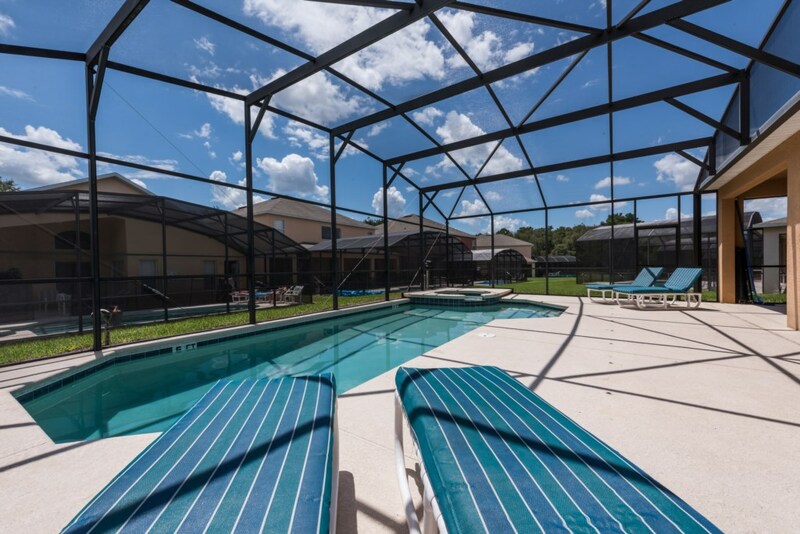 The pool area is fully screened in with a private pool and hot tub to fully relax that can be heated if required for an additional cost and be ready for more adventure and this extended deck gives more outdoor space for grill and barbecue, a gas barbeque is also available for hire if requested at the time of booking.. During your stay, free Hi Speed Internet is available for your use and a separate laundry room with a washer and dryer, and iron and ironing board are located off the kitchen area.